Farid Haque's mother speaks Arabic, his father, Japanese, his friends, Urdu and his wife, Norwegian. When this education technology entrepreneur, publisher and gamer launched his company, the road ahead was obvious. "I was passionate about bringing the world and different people together. I love education, because it is the one common denominator we all have, where I could make the greatest difference with scalability and tangible results" said CEO Haque, who launched his company, Erly Stage Studios, last November. 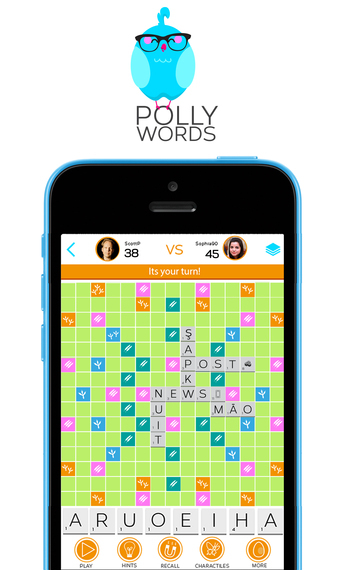 His flagship product is "Pollywords," a language-learning app that he hopes will make the world a bit smaller. Haque loves languages, education and games. "Why not make learning languages fun and more inclusive?" said the globalist and multi-linguist, who was born and raised in UAE and schooled in Canada. He has worked in the U.S. and London, where he now lives. He just opened an office in Abu Dhabi. Haque saw a problem in the marketplace: most games were in English and he wanted to even the playing field. "I wanted to accommodate players with a broader range of languages," he said. And so, Pollywords was born, a "scrabble-like" game that allows users to play in several languages at the same time, even though they may be speaking totally different ones, such as Spanish and French. Two native speakers of a language can also play together, something that will improve their vocabulary. "This is reinventing the board game for this century," said Haque. Available from the Apple App store, the game is a classic board format. The words can be in English, Spanish, French, German, Turkish, Arabeasy (Romanized Arabic) and Urdish (Romanized Arabic). East Asian languages will be launched later in the year. "This is a great opportunity to learn from people all over the world. We built this on a social gaming principle, which is that when you meet, you can learn something by having a social interaction," Haque said. His philosophy is to make learning fun and he sees this game as getting out of traditional Education 1.0 and engaging people to learn. "The question is how interested is someone in the content they are learning?" he said. Haque said that the desire to gain knowledge is in all of us. "We learn best through play and not through what is referred to sometimes as 'imprisoned learning' where we are forced into an environment, with a book shoved in our face," he said. The inspiration for his path came in 2014, after he worked as CEO and Campaign Director at StartUp Britain, a national campaign launched by UK Prime Minister David Cameron "for entrepreneurs, by entrepreneurs," with a goal to inspire and accelerate startups in the UK. Its $1.5 million dollar launch was funded by Paypal, Intuit, AXA and others. Following his work on the national campaign, Farid became a venture scout helping family offices from Asia explore the world of early-stage investments. ''That experience gave me the bug for start-ups. I was going around the world and meeting with young start-ups with a view to investing in them," he said. These trips inspired him, and he started making games and publishing, deciding to launch Erly Stage Studios. Erly Stage Studios focuses on educational products that make learning fun. 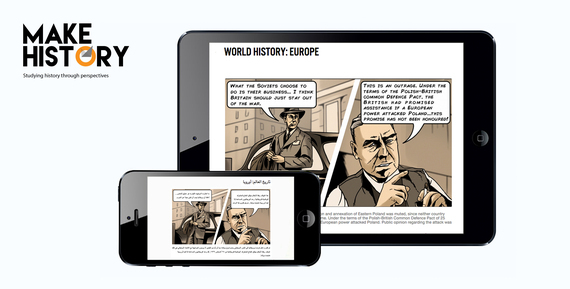 The company's product line includes Pollywords, as well as digital graphic novels for a number of subjects, which are being lauded by a number of teachers as an entirely new way to deliver old world content. "We want to reimagine content," he said. The company also publishes Erly Stage, a tech journal that focuses on specific verticals in each issue. Education Technology is an exciting arena; in fact, the company is negotiating a partnership with a large international publishing group, but Haque said this is confidential at the moment. However, he is excited, as he just closed a round of half a million dollars in funding of to seed the business, and is expecting to raise another $300,000, something that he said is challenging at times. "Any entrepreneur knows this -- in the beginning, we live and die by our investors, even though having the right team, right leadership, and a burning passion for the problem you are trying to solve are key," he said. Right leadership is something that potential investors take a fine-toothed comb to before funding a company, but this where Haque rises to the challenge. He has wide-ranging experience, including advising senior decision makers at No. 10 Downing Street, leading budding entrepreneurs for the Startup Leadership Program (SLP) in London, and experience as a management consultant at Accenture in the corporate strategy practice. He has raised venture capital. And somewhere way back, he had internships at Schlumberger and Lego, right out of the University of Toronto in Canada, where he studied chemical engineering. Building a company is never an easy feat, but Haque said that, "It came together with a few people, and it has grown. There are ten people now. Some of those hires were serendipity but some well calculated," he said, adding that people like Peter Theil in their book Zero to One say that there is no such thing as luck, but success is a mix of luck and hard work coming together. "We are working hard to prove our products and scale up with the right people. Having the right cultural fit is important. There is a family feel to us, we are a close team and everyone knows each other," he said. Most exciting, is that the company is geographically diverse. Traveling all over the globe and opening in London, Karachi, Manila and Abu Dhabi have allowed him to hire the best talent. He just added someone in San Francisco. He calls his company a "mini-multinational." "Our studio is truly global. You hire the best talent where it is available. With technology, running an international business today has never been easier," he said.